Colin has been a student of the game for 25 years. In 2011, he left his marketing career to focus on his passion in life: forwarding the progress of soccer in the United States. After 7 successful years of coaching in New York and Virginia, he returned to south Texas where he played from ages 6-15. 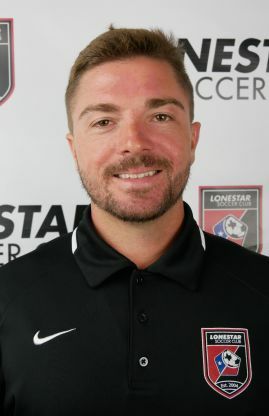 He is dedicated to his full-time role at Lonestar and believes his most important contribution is the positive influence he has on the players - their love of the game, self-confidence, soccer development, and character. His idols are Sir Alex Ferguson, Johan Cruyff, David Beckham, Greg Popovich, and his parents Michael and Sue Nannery.